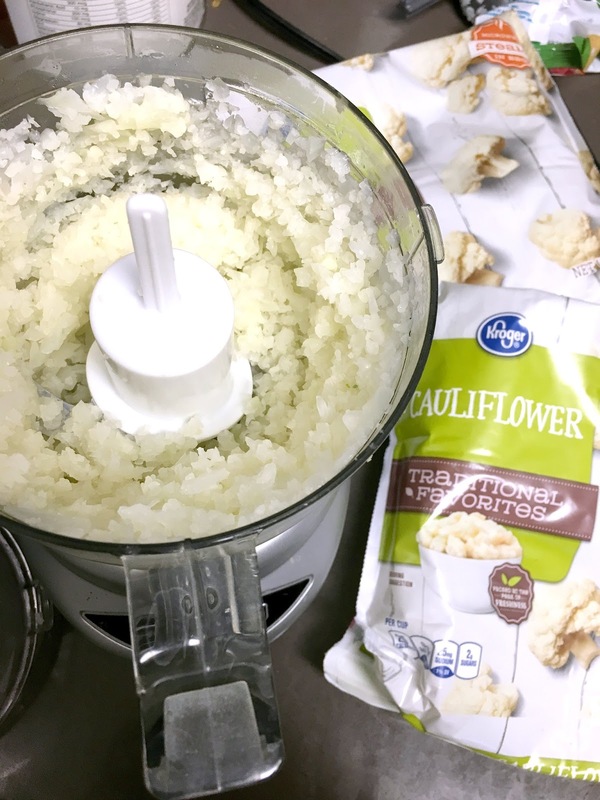 If you follow my instagram, then you know that I am OBSESSED with cauliflower! It is literally my favorite veggie! Why? because it can transform itself into different rices and potatoes! And as long as you season it correctly, it passes for the real thing! A couple weeks ago I made some Mexican Cauliflower Rice for the first time. 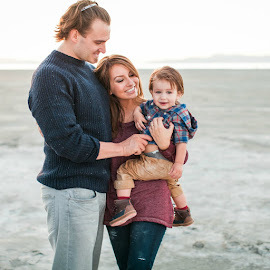 My husband LOVED it! Upon trying it for the first time, he asked me if we ever needed to make the real rice again! 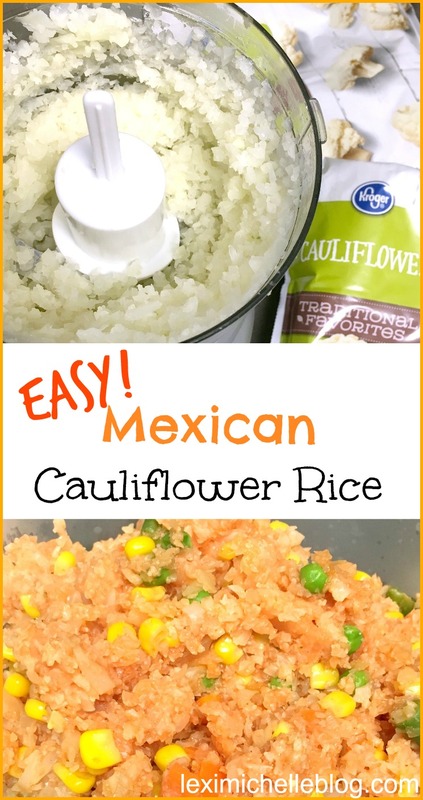 So now we've subbed out mashed potatoes AND Mexican Style Rice with this delicious dupe. Here's to low-carb living! Woohoo!! 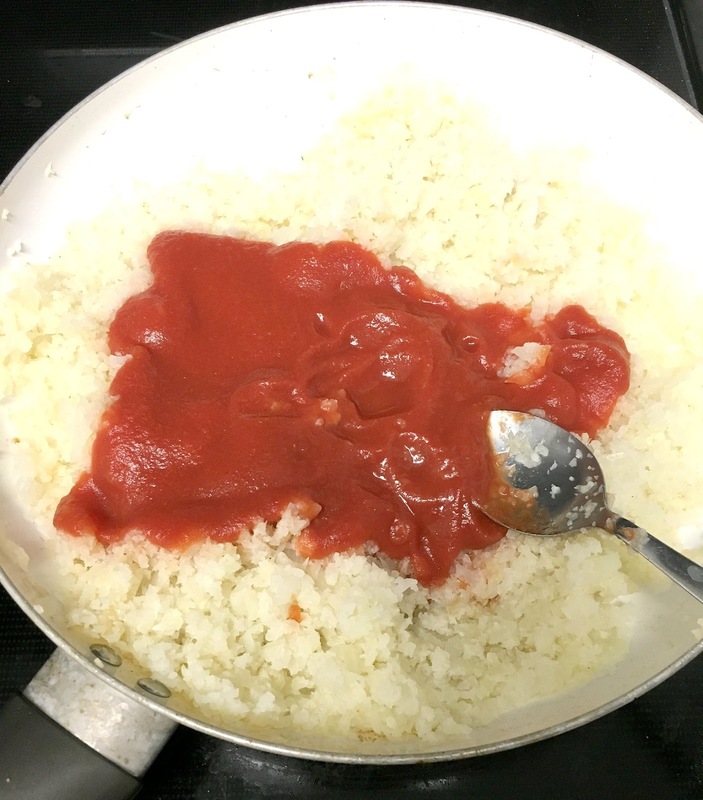 This recipe is very similar to my normal Mexican Style rice, but for convenience I am using canned tomato sauce instead of fresh tomatoes. 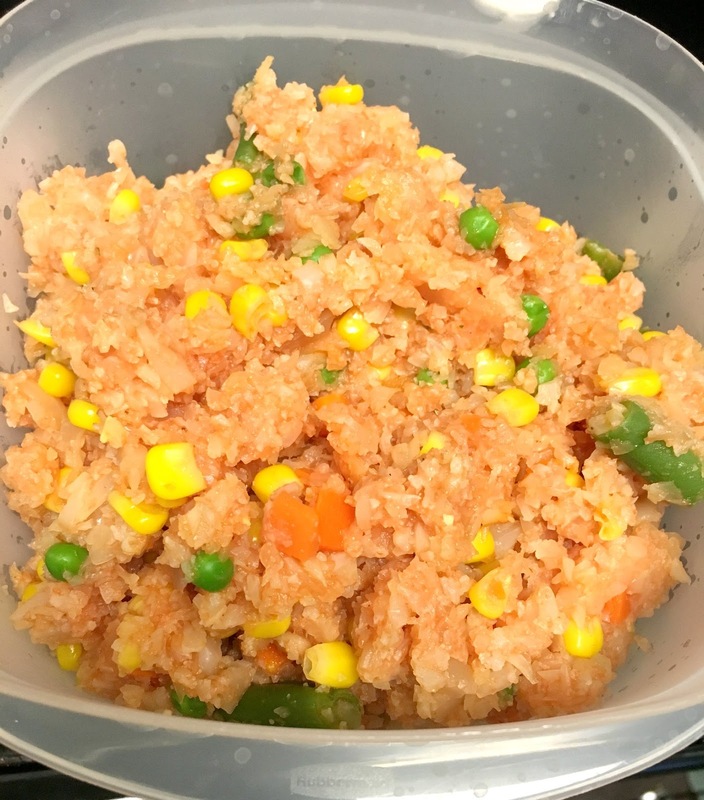 This recipe makes 8 servings, which we immediately place in tupperware as an easy side for the week. 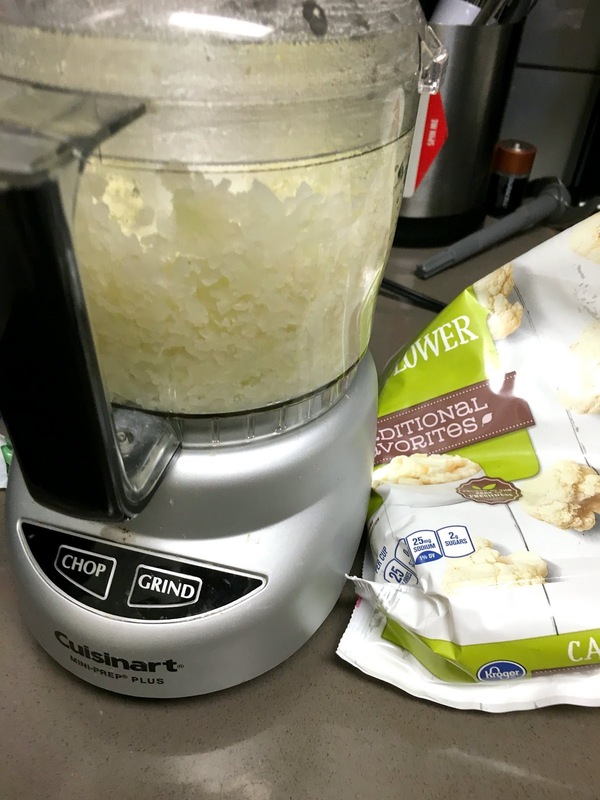 In a food processor, pulse cauliflower until it resembles rice. In a medium pan, heat 1/2 tbs canola oil & add garlic, onion, & bouillon. Sautee until onion becomes translucent & bouillon is melted. Add "rice" & tomato sauce and stir. Let simmer for 1 minute. 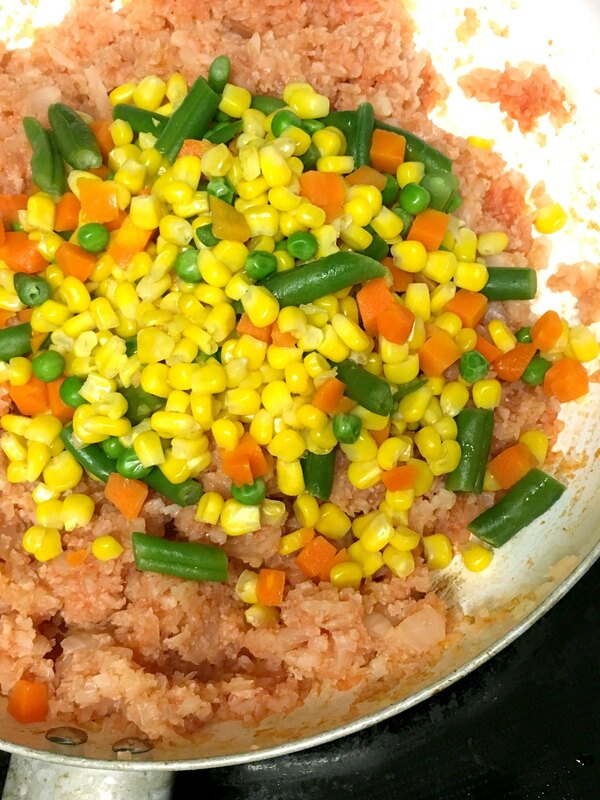 Add mixed veggies & salt to taste & then stir once more.